Nottingham Electrical Testing is a division within Arnold Electrical. Our aim is to provide you or your business with a quality, cost effective solution to help you comply with electrical safety regulations. We care about your safety. Nottingham Electrical Testing offers a reliable and professional service. 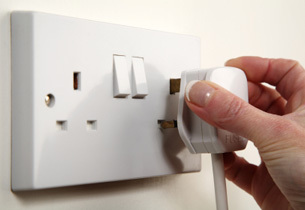 Electrical testing and inspecting and portable appliance testing is a process by which your electrical installations and appliances are tested to see if they are SAFE to use. Why choose Nottingham Electrical Testing? Established in 1994, we are a local electrical company priding ourselves on a high level of service and reliability, making us a popular electrical service. Covering domestic, commercial and industrial work, our testing division cares about your safety. We accommodate for the individual needs of our customers, providing good value and a caring, friendly service. Our service also includes re-scheduling. To ensure that you keep up to date with your PAT testing, we will contact you when your items are due to be re-tested. Just had your PAT Testing done? No problem, just let us know when your appliances are due for a re-test and we will contact you nearer the time to discuss your testing needs. Have you seen our other websites? We also offer a full range of electrical services. Domestic, Commercial and Industrial. Please visit our website for details. As well as all domestic electrical services, we specialise in PV Solar Panel Installations on our Arnold Electrical Eco Energy Installation website.